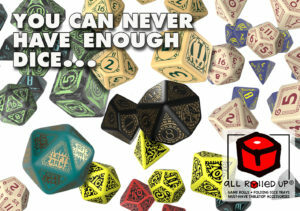 We’re very happy whenever we get the opportunity to expand the range of products that bring the whole gaming experience to the table, because that’s what All Rolled Up has always been about. 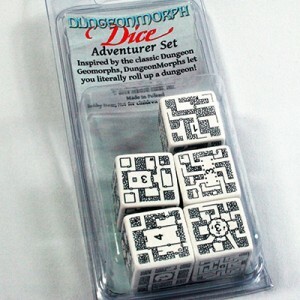 Hey, hi Dungeonmorph Dice sets! You might have heard the story before – I tell it a lot at conventions – but, the All Rolled Up exists for very selfish reasons. I happen to gamemaster a fair amount at conventions, but I hate having to carry a bag crammed with a pile of unordered stuff. Yes, you can organise it before you arrive, but by midway through the first day that order will have disintegrated. By the evening session, you don’t know where the pencils have gone, can’t find the eraser, and you have lost all hope of finding your favourite d20. 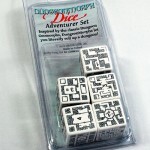 I wanted an easy way to bring my game to the table. 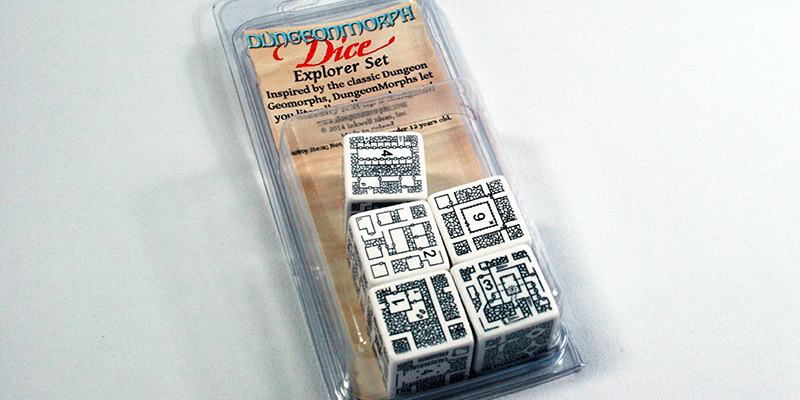 One container for all the dice, counters, cards, pens, pencils, dry wipe markers… the whole lot. Most other dice bags and cups I owned did OK on the dice and the counters, but playing cards and pencils, not so much. 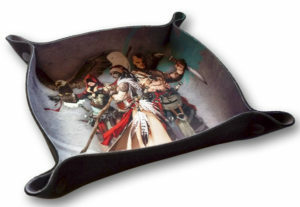 Now that we have the All Rolled Up, so you can carry all you need for your game in a bag tuned just right to your given needs. Well, we want to make it possible to grab your whole gaming kit from us – by mail or at the convention – and not need to worry about it. 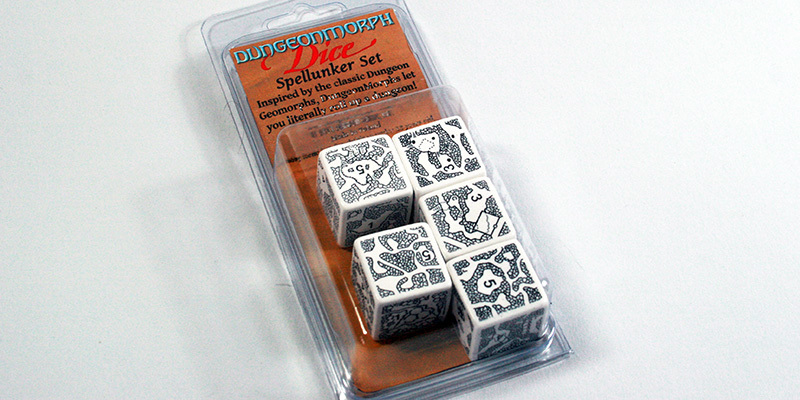 When I first saw Dungeonmorph dice, from Inkwell Ideas, I loved the concept. Many will know that I love drawing maps myself and have messed around with a card system in the past. 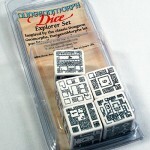 Well, dice – they’re even more compact and get the same job done of generating a random map layout when you need it… in the midst of that convention when you suddenly realise you left all your notes at home. 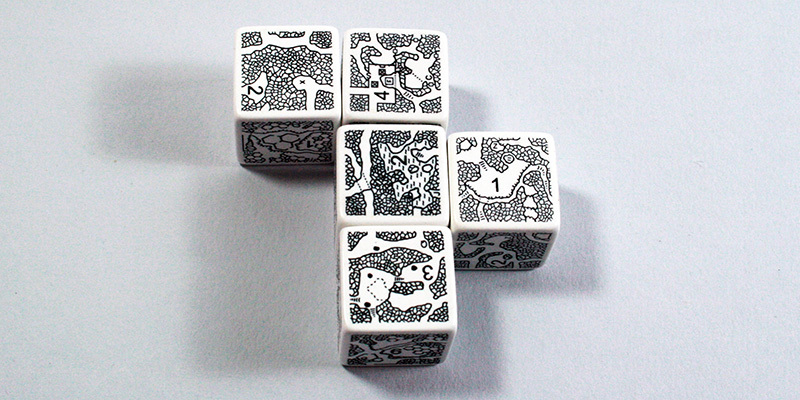 Chunky dice with a bit of heft and clunk, each features a different map layout on a side – giving you thirty random tiles per set. 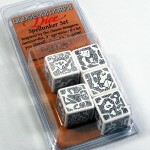 Combined, the Adventurer, Explorer and Spellunker sets give you a mix of 90 rooms, chambers, caverns and more. 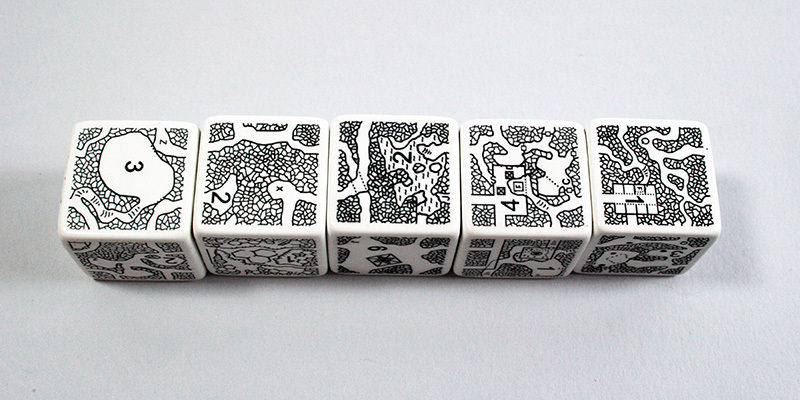 You can roll one at random for the immediate layout of the next room, or throw the lot and connect them into an ad hoc layout. 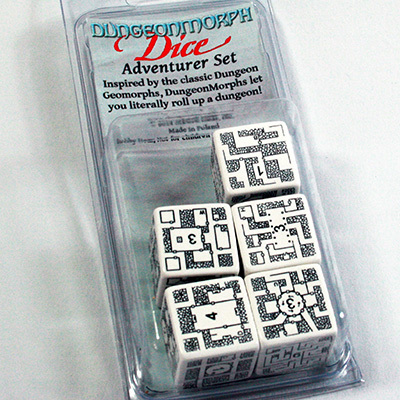 Combined with Wipeable Cards to record monsters, traps, treasure or whatever – you can have an adventure ready in no time. 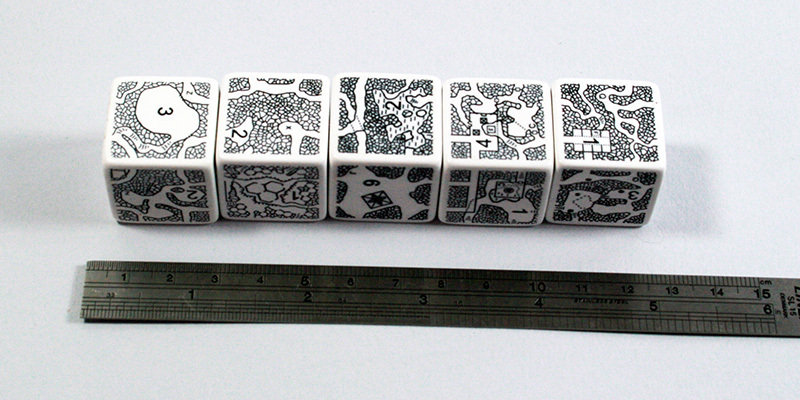 Yes, that’s 5 whole inches of dice! 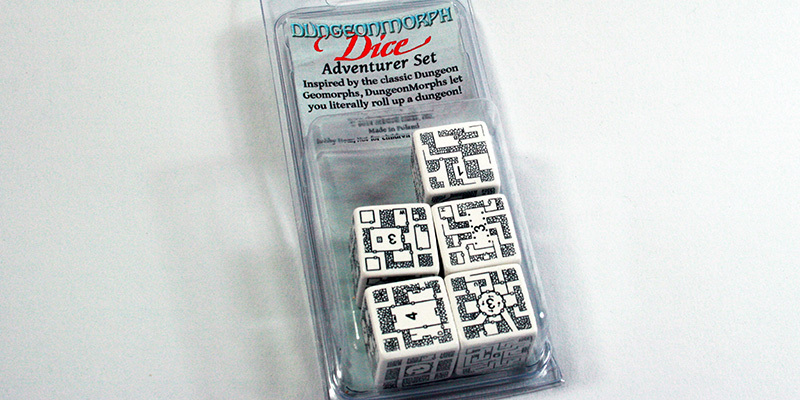 Find the three Dungeonmorph dice sets, by Inkwell Ideas, in with our Accessories or when we’re next at a convention (while stocks last).